When Susie is forced to choose between her best mate, Isaac, and the gang at The Fort, she tells her friend a little lie—and he finds out. Why can’t Isaac just get over it? Gary asked when they got closer. “Not him.” Gary pointed to Isaac. 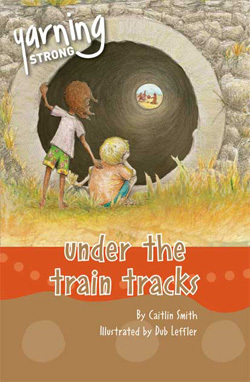 Text type: Under the train tracks is a narrative text in novel form.